A place for electronic gadgets and doodads of all sorts. Meet Parker (her full name being Von Rakohund D Parker) who is my new 10 week old purebred working line German Shepherd Dog. She is from the D litter of Von Forell Rako x Paskarla Kolby and was bred by Scott and Elaine Edwards of Von Rako Kennels, who breed and supply to the police and other law enforcement agencies as well as train them. 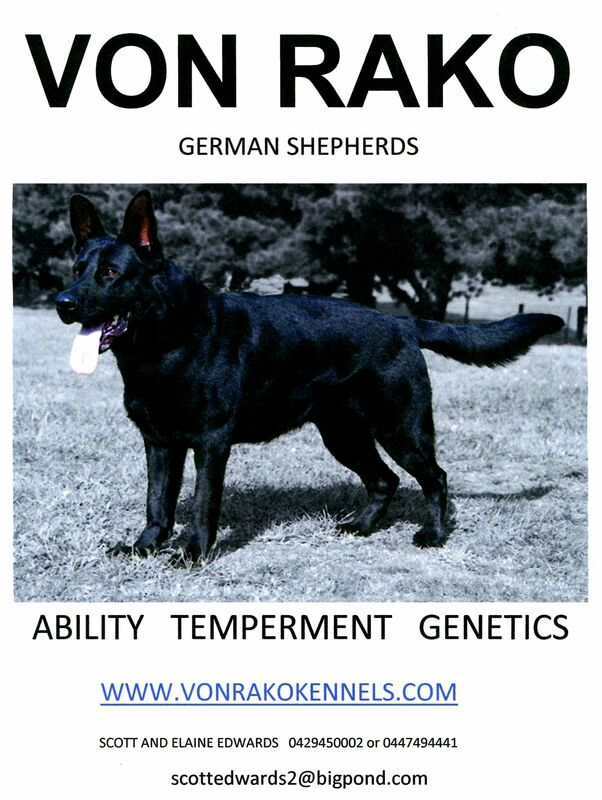 Von Forell Rako, as the name suggests, was bred by Kris Kotsopoulos of Von Forell Kennels who breed some beautiful dogs. She is growing by the day and is already bigger than she is in the video, at nine weeks. She was born on the 18th of June 2012 and I first saw the litter when all the pups were six weeks old. Now, you don't pick the pup that you want. Nope, none of that "Pick the puppy that comes up to and licks your hand" stuff. The breeders, Scott and Elaine, pick a pup suited to what you want from it. In my case Parker is going to be somewhat of a personal protection dog, and hopefully a good contender in Schutzhund. She has a very good prey drive and is already beginning to become a quite solid dog. They are all registered with the Australian National Kennel Council (ANKC) on the limited register so as you can't breed from them with mongrels etc... and sell them with papers), through the respective State institution (Dogs NSW in my case). 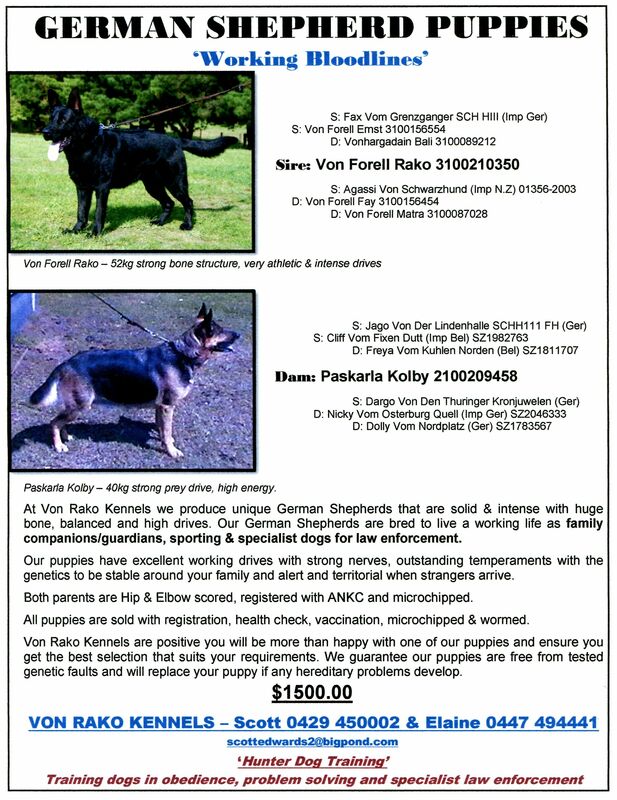 If you are looking for a working line German Shepherd companion and protector I can highly recommend Von Rako Kennels.